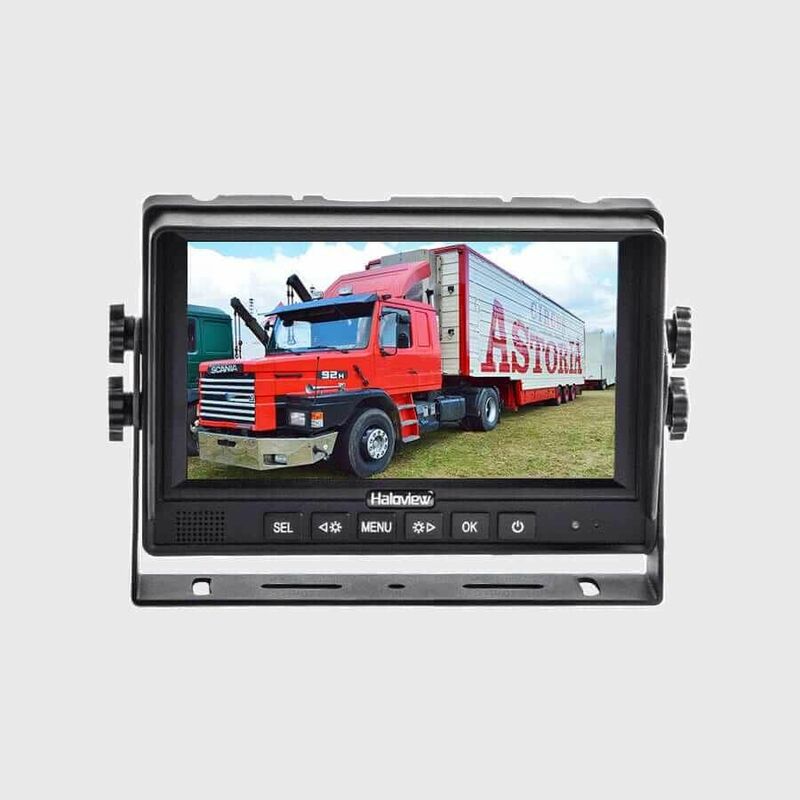 1.TFT LCD monitor with wide angle view and high resolution display. 2. Picture image may be adjusted for Horizontal, Vertical, Mirror and Normal viewing. 3. Select from 8 languages for user operation. 4.Automatic back lighting for buttons. 6.Multiple video formats: 1080P 25fps, 1080P 30fps, 720P 25fps, 720P 30fps, PAL D1, NTSC D1. 7.Up to 3 camera inputs. 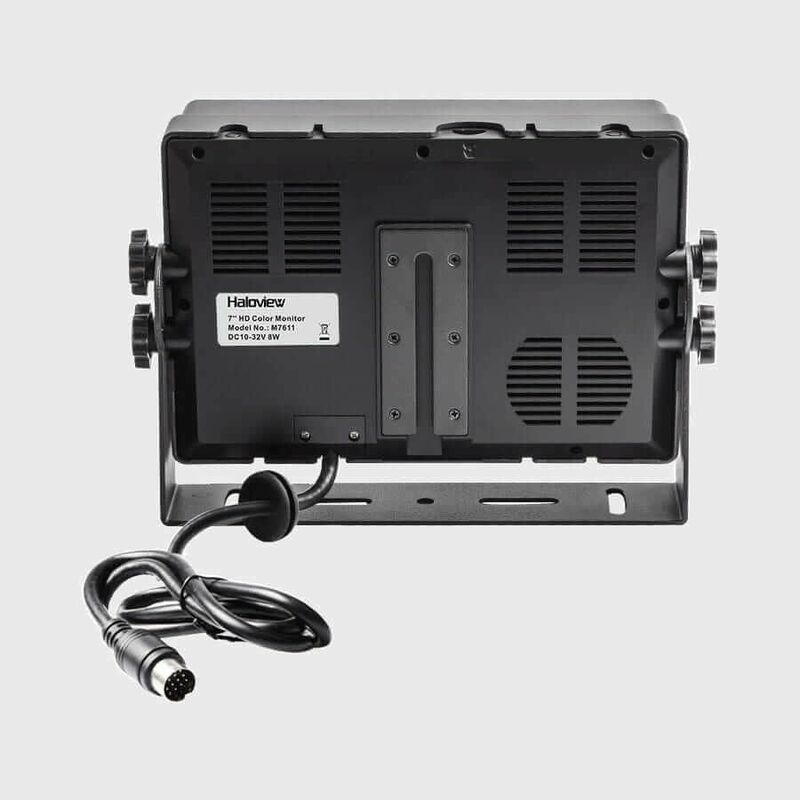 8.Operates from 10 -32V. Supports 12V or 24V automobile battery. 11. The scale can be adjusted for left, right, up and down. 12. Automatically switches to back-up,left,right camera views. 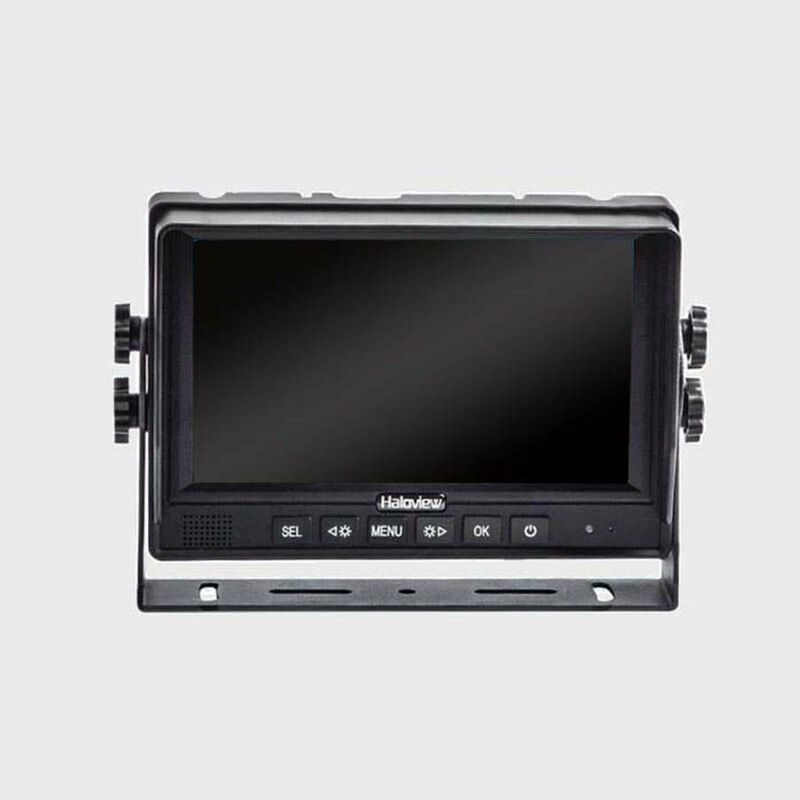 Monitor resolution:1024x600, 7 inch TFT screen presents you a perfect and detailed image even in a low light environment. Awesome compatibility: easily fits most types of DC12-32V vehicles and different lengths of vehicles. Such as 5th wheel, Van, RV, Camper, trucks, Motorhome, travel trailer etc. Select from 8 Languages for User Operation.